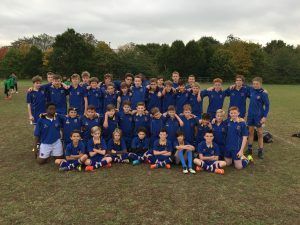 Last Saturday saw the school’s rugby teams take on Hertford’s Simon Balle School in their first ever Saturday morning block fixture, with nearly a hundred boys in total involved in the matches held at Harlow Rugby Club. Saturday sporting fixtures are set to become a more regular feature as Mr Tucker and his team set their sights on Saint Nicks stepping up a gear in its sporting focus and it was great to see everyone enjoying themselves at this highly competitive event. 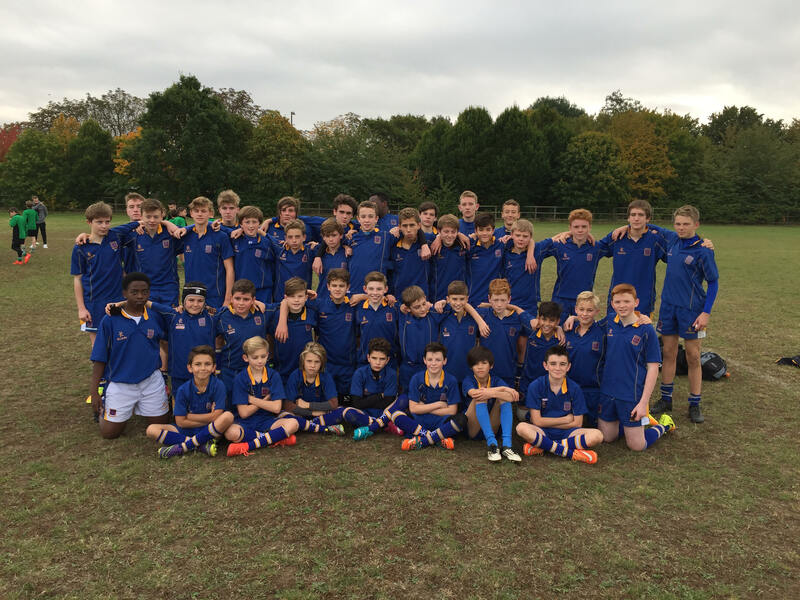 The Year 7 game was played at a high tempo with tries galore from both sides. The Year 8/9 game was won convincingly by a strong Simon Balle team but there was victory for the Year 10/11 team, whose match was won by Saint Nicholas in the last play, with the winning try by Matthew. It is hoped that a number of pupils will be inspired to join Harlow RFC as a consequence of the fixture. Any queries about Harlow RFC should be directed to Adam Clark on youth@harlow-rugby.co.uk. Thank you to all who came down to support the teams and well done to the boys that played!